As my hair grows longer, it gets harder to maintain. In order to get to bed early, I have to blow dry my hair instead of letting it dries up naturally. And as you know it, long term of blow-drying caused my hair to be brittle, dry and damaged. 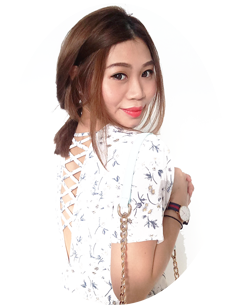 The most annoying issue got to be waking up with bad hair moments; unglamorous curled ends, frizzy hair etc. I would say that the most common solution adopted would probably to shower, and blow-dry your hair again. Can you see how that vicious cycle repeats itself? 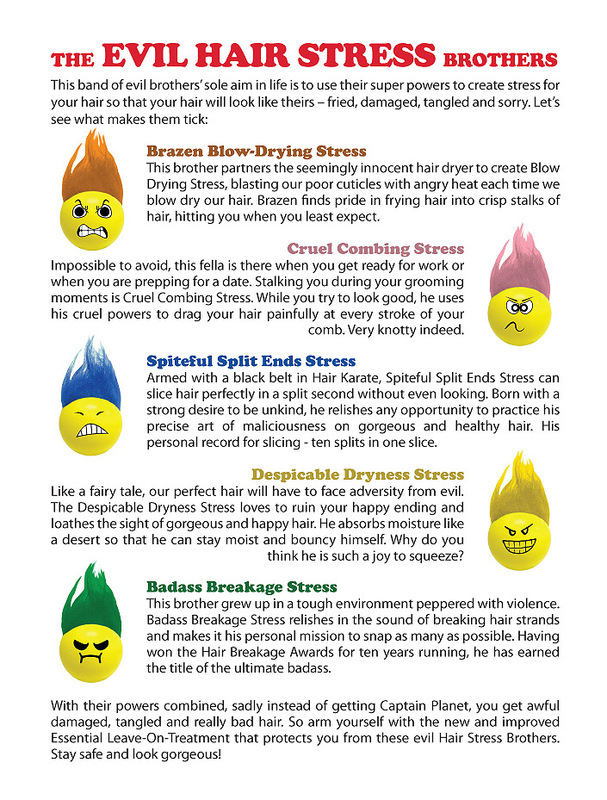 The hair care experts from Essential came up with 5 evil hair stress brothers that perfectly describes the woes every girl face in their entire life, or maybe just once. Read on, because I have the perfect, non-damaging solution for these woes! Yes, they are outright to destroy your hair. Introducing Essential’s leave on treatments - CC Oil and Night Care Milk. While many people may know that heat styling, perming and dyeing can damage their hair, they may not know that external environmental factors and some of their everyday habits can put stress on your hair and impact its health and appearance. Equipped with cuticle coat hair protection that contains hair supplement oil, the 2 products will leave your hair smooth and tangle-free. The ‘CC’ in the new Essential CC Oil stands for Cuticle Care. Similar to how BB/CC cream have multiple uses and effects (E.g. coverage, moisturizing, brightening etc), This CC oil protects your hair from the 5 evil hair stresses by forming a protective coat around each strand of your hair, leaving you with gorgeous and more manageable hair. Although this leave-on treatment comes in oil form, the amazing part is how not oily it feels. 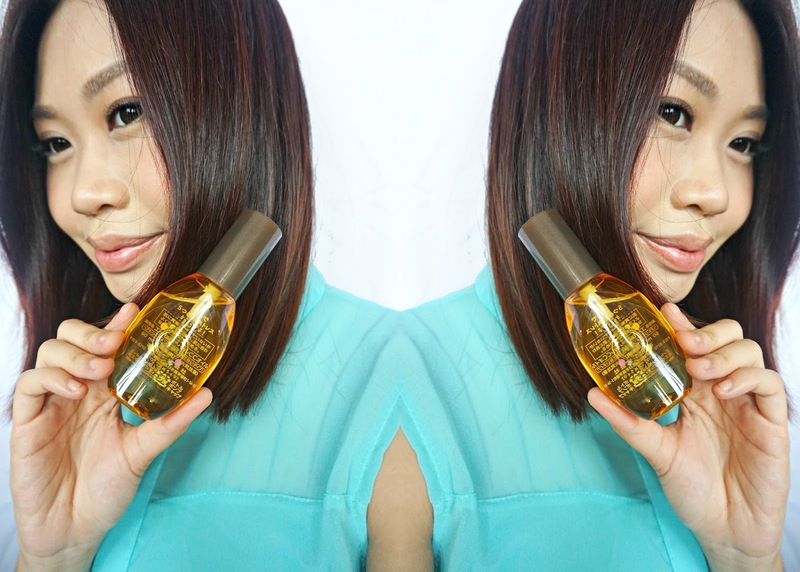 Non-greasy and invisibly light, this is my ultimate savior for dry ends! In the morning before I head to work, I would apply a appropriate amount of CC oil on the tip of my hair and it make combing so much easily. No more tugging at tangled ends! Previously, I reviewed their Essential Sleeping Hair Mask (Read here) which improved my wake up hair condition. Now, this Night Care Milk is like an evolution of the hair mask. Not only does it protects the hair from “Pillow Friction”, intensively repairs and moisturizes the hair in the wee hours of the night, it is also coupled with cuticle coat protection ingredients! The best thing about this treatment is the ability to apply it on damp hair without turning your hair into sticky lumps. The non-greasy milk formula helps to smooth out the after bath dryness and when the hair dries up, the result is really lovable – my hair is so manageable and tamed, it even stays the same condition after I woke up the next morning. The scent of Essential products has always been one of the reasons I’m still a fan. Weirdly, the sweet floral scent of the night care milk actually helps me fall asleep better ha-ha! 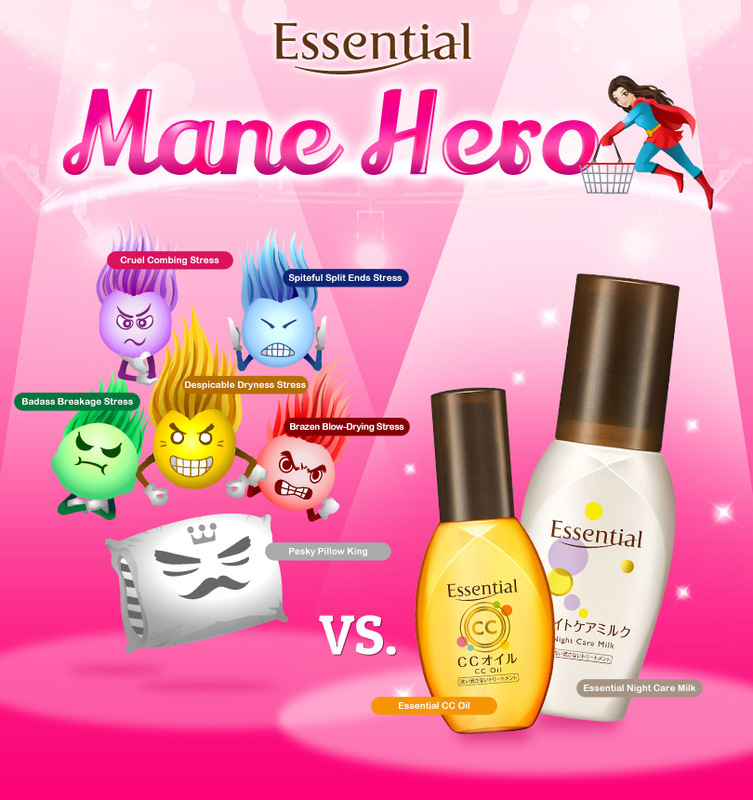 Head over to https://apps.facebook.com/essentialmanehero/, play Essential’s Mane Hero Facebook game, combat the 5 evil Hair Stress Brothers and Pesky Pillow King and stand to win attractive weekly prizes!